As well as providing you with a great sign we offer full service installation. We will work with you to meet the installation requirements of your location. Our services include (but are not limited to) installation of lightboxes, post and panel contructed signs, vinyl graphics, vehicle wraps, letterboards, indoor and outdoor dimensional lettering, LED retrofitting, and digital sign boards. 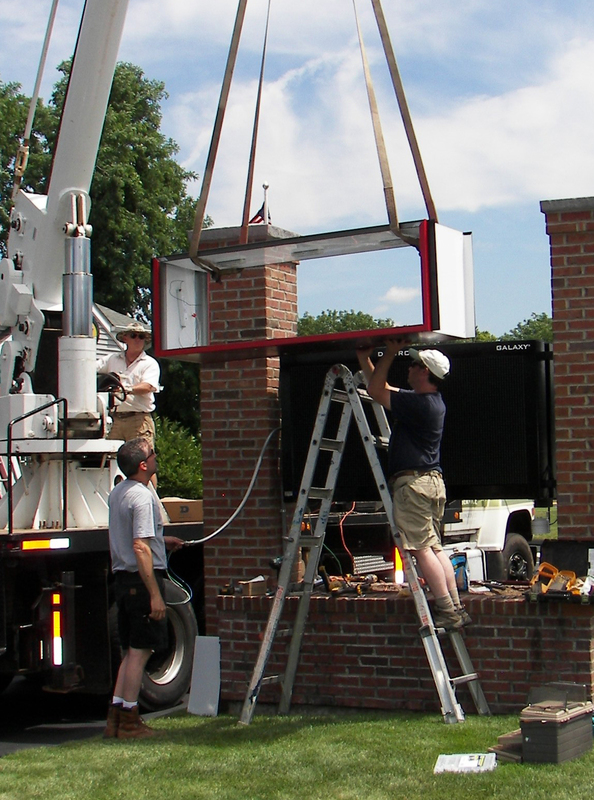 We provide quality installation determined by the fabrication specifications of your sign. 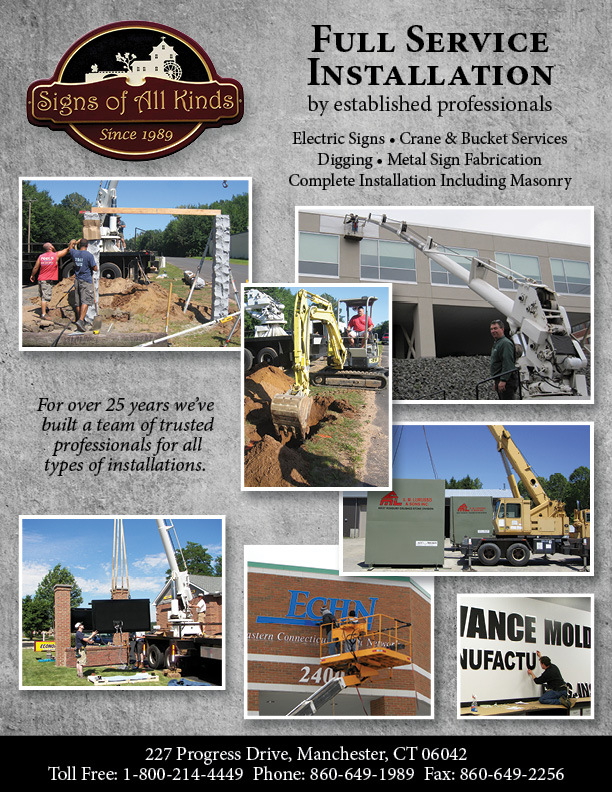 If your sign requires the assistance of other professionals we have built a team of electricians, masons, crane and bucket lifts, excavators and many others that we trust to provide quality installation services with us. If you have any installation questions or concerns for your sign, give us a call to discuss.